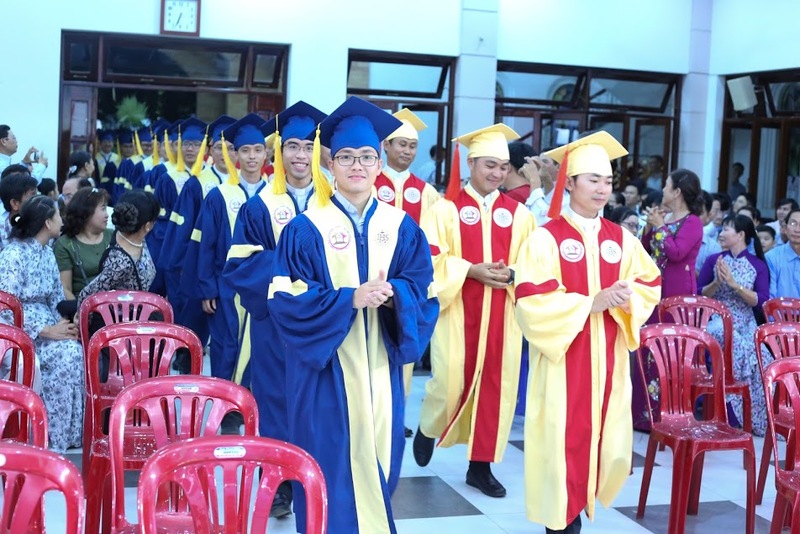 St Joseph Jesuit Scholasticate (SJJS) in Ho Chi Minh City celebrated its second commencement exercises since being affiliated with the Loyola School of Theology (LST) in Manila in 2018. Fr Rogel Abais SJ, LST Vice President for Academic Affairs, flew to Vietnam on March 26 to confer the degrees on the graduates. The affiliation between SJJS and LST, which has the approval of the Congregation for Catholic Education, enables LST, an ecclesiastical faculty of the Jesuits in the Philippines, to confer the STB degree on SJJS graduates. “We at LST are happy with our partnership with SJJS and we look forward to years of cooperation in the field of theological formation”, said Fr Abais. He affirmed LST’s desire to support and help SJJS develop its programmes towards forming future servant leaders in the Church. “Our hope is that SJJS will continue to grow as an institution of learning not only for the training of Jesuit scholastics here in Vietnam but also for the wider church in Vietnam and in the Southeast Asian region”, said Fr Abais. Twenty-five students graduated, 17 of them from Philosophy, of which 16 are Jesuits and one Dehonian, and eight from Theology, of which five are Jesuits, one Carmelite and two Camillians. Fr Abais congratulated the graduates and all those who have contributed to their academic formation in the Jesuit tradition of magis and excellence.